The revised Code of Good Governance is now streamlined to five principles which the Developing Governance Group believes will make it easier for boards to work with. The Developing Governance Group also launched the revised Governance Health Check in line with the new principles of the Code and will launch the DIY Committee Guide website on the 1 March 2016. Please note that while the new look revised site is not available just yet, the governance resources are still available on the old site at www.diycommitteeguide.org. 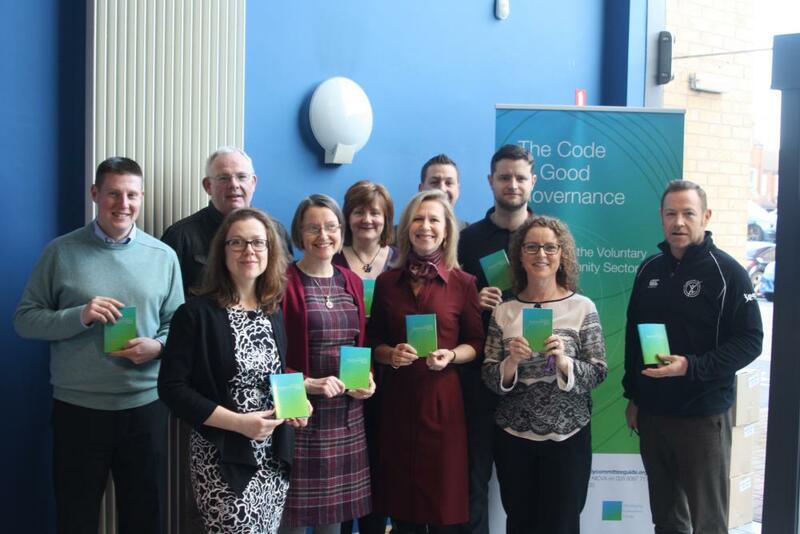 Hard copies of the Code of Good Governance booklets can be collected from any of the Developing Governance Group members or by contacting the Secretariat which is provided by NICVA and Volunteer Now. "The Code of Good Governance is a vital resource and the DIY CommitteeGuide.org provides user friendly and fine access to all the information an organisation or Board Member requires. Well done to the Developing Governance Group, organisations working together to provide shared resources and expertise to benefit the whole of the sector." "These are important and useful resources for promoting and supporting good governance whatever the size of your organisation; please make sure you have these tools in your toolbox."